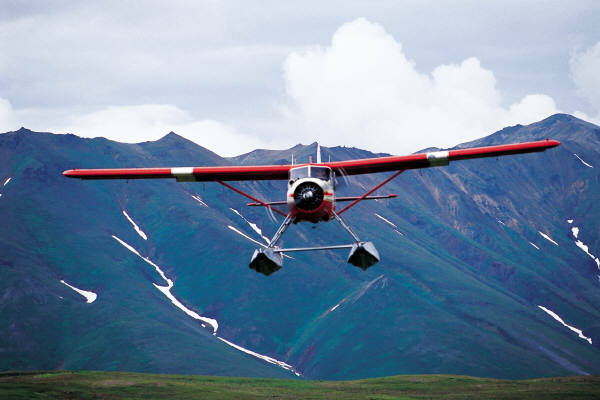 What does a scenic flight in an aeroplane have to do with presentation skills? If you reflect on the three stages of giving a presentation, there are a lot of similarities to an aeroplane flight. There is usually a starting point to any flight the same as there is always an introduction to any talk, speech or presentation. There are usually a couple of points of interest in any scenic flight, and in any presentation there should be a few points of interest too. Every scenic flight must come to an end as should a good presentation. 1. The Take off: When an aeroplane is getting ready to take off it uses the most amount of energy of the entire flight. When you begin your presentation you will have to use a lot of energy to get the attention of the audience. If you loose people in the take off you may not get them back, but they are stuck listening to you. Even if you know your topic really well, you must give some thought to your introduction. How you can kick off your presentation? 2. Cruising: when an aeroplane gets into the air it aims for its cruising altitude and then turns down the engines to cruising speed. An aeroplane doesn’t fly at full speed for the entire flight but cruises at an efficient speed. In the cruising part of your presentation you might have to come off the energy level a little. People can’t keep their energy up for the entire presentation so adapt the pace in the middle section. Just like an aeroplane flight there are usually only two or three points of interest. In your middle section don’t confuse people with 10 or 15 key points. You want two or three key points that get you to your destination but add interest along the way. What are the 2 or 3 key points of your presentation? 3. The Landing: when an aeroplane takes off it knows where it is going to land. A long “holding pattern” before landing can be hard for the passengers. When you are giving a presentation you must know how you are going to land or finish before you begin. What is your final destination, what is you final point? Keeping the audience wondering when you are going to finish is not a good idea. How are you going to finish your presentation? How many planes can a pilot fly at once? A pilot can only fly one plane at any given time. So too you should have one only one key theme each time you present. Some people will get up and talk for the allotted time, packing in as many themes and topics as they can. Apart from confusing the audience, each theme is undervalued because it is not explored properly. How many people does it take to start a youth group? Great ideas here!!! I love the analogy!